With the pressure to be producing more and more photographs, videos and documents that promote your wares, these digital assets can mount up - and if you're not processing, managing and storing them correctly, your creativity could start drowning in bulky asset admin. Being swamped in an unorganised and unstructured mass of digital content is no way to run a marketing department - and you need your best creatives working on projects that will have real impact on your brand awareness, rather than spending their time aimlessly searching for files, and worrying over how best to send and share something they've been working on with others who urgently need to view it. With professional Digital Asset Management (DAM) software, you can spend more time on brand management, and less time on stress management. Here are our top five tips for using DAM to support your branding endeavours. Creative employees need to be immersing themselves in pictures, words and big ideas… not admin. Without a DAM system to correctly archive and arrange your content, it's likely that the creative energy of your team is being drained by searching for the items they need, looking for long lost files in their email inbox, and trying to share their work with colleagues. With less menial tasks to complete, you can get on with being productive. Within the central repository of a DAM system, you can produce outlines and instructions that you can be sure everyone will have access to, ensuring that your vision is being executed consistently by all workers. By producing brand guidelines, you can be sure that everyone is familiar with the dos and don'ts, tone of voice, and how the brand story should be told, whether they're working across social media, artwork, or campaign strategies… or in the finance office. Many of those working for your organisation will need access to graphics, without having access to the graphic designer, or will need to send a letter with your logo without the slightest idea of how it is produced. With a DAM system, you can supply creative materials to non-creative workers, by providing easy access to standardised templates for items such as headers, documents, web and office tasks and newsletters. In this way, all members of the team can support the marketing effort with professionally branded materials, without having to create content themselves. When you've created strong content, you need to be sure it's being used, and that it's not being undermined by the use of differing, out of date, or incorrect versions. 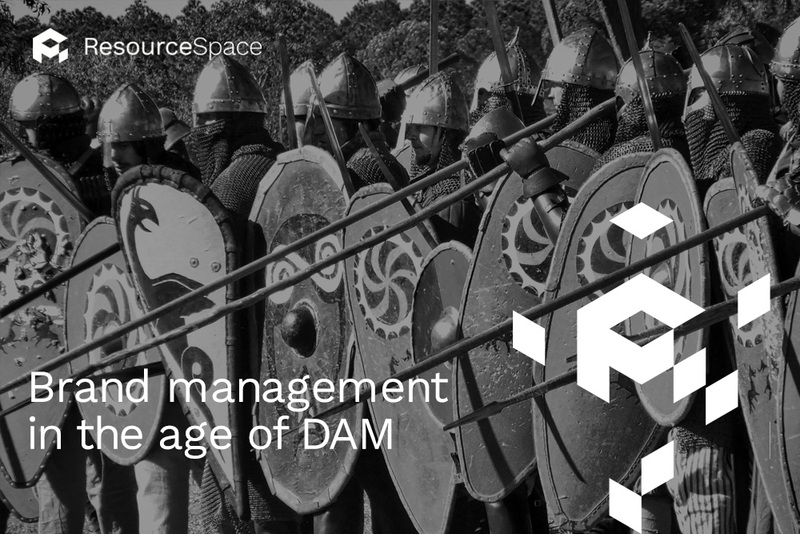 With DAM, you can ensure that staff can only use approved and relevant material, so that you can control the items that are being used, and monitor their implementation. Without a DAM system in place, it's hard to keep track of what marketing material has already been produced, and which assets currently exist. By using the right software, you'll have instant access to a smart overview of everything you own, so that you can reuse, repurpose and recycle great content you'd forgotten you had - allowing you to save money, time and staff resources on producing, or purchasing new branding content from scratch. Managing a brand? Let ResourceSpace manage your brand assets. When you're a brand manager, your marketing materials are your strongest assets - which is why you need to take care of them professionally with a DAM solution. To see how organised and secure asset management can transform the way you operate your marketing department, and give your creatives the tools they need to do great work, start your free trial of ResourceSpace today. To talk to the team further about DAM for brand management, simply get in touch.